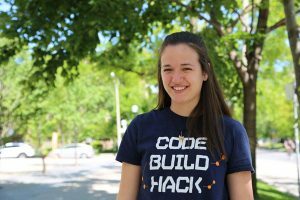 Rachel Mandel (Year 3 MechE) is packing for the trip of a lifetime. Over the next two months, she will travel to indigenous communities across Ontario and the Canadian Arctic to facilitate interactive workshops on science, technology, engineering and math (STEM). 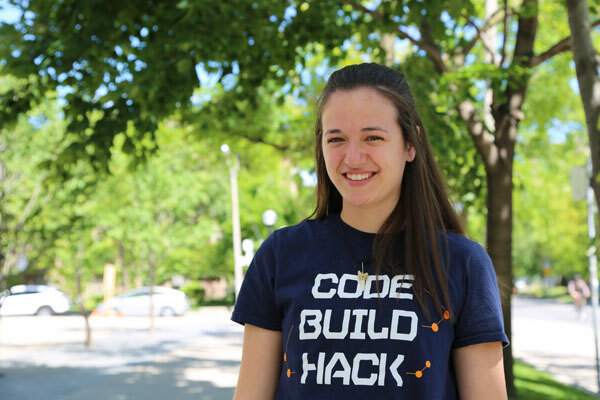 Mandel discovered her own passion for STEM in her grade 11 physics class. “The thing I love about solving problems is that there are so many ways to go about doing it. You have to be very logical, but also very creative,” she says. 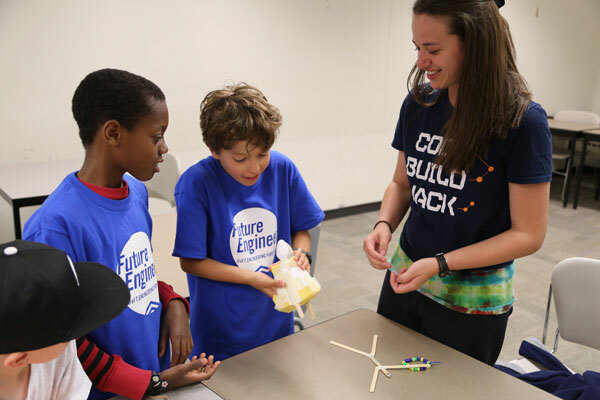 As a U of T Engineering student, Mandel puts her passion to work with the Engineering Outreachoffice, which facilitates summer camps, interactive workshops and special events that engage elementary and high school students in STEM. Each year Mandel and other student employees help the Engineering Outreach office engage more than 7,000 students from Canada and around the world. It was while helping out with one of these events — a coding workshop for elementary school teachers — that Mandel met Tracy Ross, Director of Network Membership for Actua, Canada’s largest STEM charity and a major partner of Engineering Outreach. Ross told her about Actua’s Indigenous Youth in STEM (InSTEM) Program, a customized, community-based approach to engaging First Nations, Métis, and Inuit youth in locally and culturally relevant STEM education programs. Through InSTEM, Actua organizes a series of workshops each summer in communities across Nunavut. “I e-mailed her a lot after that!” says Mandel. Mandel soon learned she had been selected as one of 12 students from across Canada who will be making the journey north this year. The team includes both indigenous and non-indigenous students, all of whom are studying science, engineering or education at the undergraduate or graduate level. They will travel more than 8,000 km to communities such as Kimmirut, Cape Dorset, Hall Beach, Igoolik and Arctic Bay. Before heading north, the team spent a week together at Actua’s headquarters in Ottawa. They learned how to teach workshops ranging from the use of drones in mining to the ecology of Arctic fish. They also participated in a traditional healing circle and received extensive cultural training. Mandel’s first stop is at Six Nations of the Grand River in southern Ontario, where she will spend a week facilitating workshops before boarding a plane to Nunavut on July 2.